Columbus, Ohio—On January 19, the U.S. Department of Agriculture’s (USDA) Natural Resources Conservation Service (NRCS) announced that farmers have until March 2, 2018 to submit an initial FY 2018 application for the nation’s largest working lands program, the Conservation Stewardship Program (CSP). More than 72 million acres across the country—roughly 8 percent of all agricultural land—and more than 300,000 acres in Ohio are currently enrolled in whole-farm conservation contracts. The significant amount of working lands already enrolled in CSP, and the fact that in recent years CSP has had to turn away many qualified applicants, is evidence of the voluntary conservation program’s enormous popularity. During the 2018 sign-up period, NRCS will enroll an additional 10 million acres of cropland, pastureland, rangeland, and forestland in CSP. Interested farmers and ranchers must submit their applications by March 2 in order to be considered for this year’s sign up. Current participants whose initial contracts are set to expire at the end of the year will also have the opportunity to renew their contracts for an additional five year period; USDA will announce a separate deadline for renewals in the coming weeks. Interested producers should act quickly to ensure consideration in this year’s signup. To apply, farmers can go to their local NRCS office and submit the initial application materials: a simple form that asks for basic information regarding land ownership, type of production, and contact information. Producers are then scored based on current and planned conservation activities. If applicants meet acceptable conservation levels, they will be ranked. NRCS works down through the list of eligible applicants until acreage allocated to the state for the year runs out. While applicants can apply for CSP anytime throughout the year, OEFFA urges interested producers to submit applications before the March 2 deadline to ensure that they are considered for enrollment in FY 2018. The 2018 CSP is especially significant because it is the final enrollment opportunity under the authority provided by the 2014 Farm Bill, which is set to expire September 30, 2018. 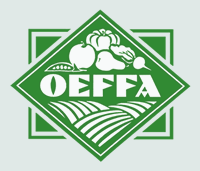 The Ohio Ecological Food and Farm Association (OEFFA) is a state-wide, grassroots, nonprofit organization founded in 1979 by farmers, gardeners, and conscientious eaters working together to create and promote a sustainable and healthful food and farming system. OEFFA is committed to farm bill that prioritizes conservation and local and regional food system development and provides a level playing for farmers. For more information, click here.